I’m rounding off a busy year with a selection of imagination stretching bright ideas that I’m already including in customised UK tours. The lead story flags up a significant anniversary which many Methodist churches will be celebrating, and which some enterprising travel agents have already spotted as the starting point for an imaginatively themed UK Methodist Heritage tour. The stories continue with a pop-up Elizabethan theatre in York, Peter Pan in Dumfries, Scotland and a Harry Potter/Roald Dahl combination that will appeal to families and people like me who like me who are also fans! Wishing you all a very happy Christmas. See you next year! 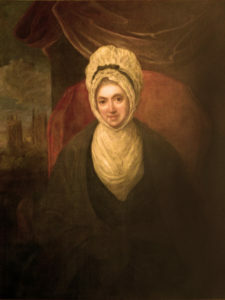 2019 marks the 350th anniversary of the birth of Susanna Wesley, mother of her two famous sons, John and Charles. Their home was at the Epworth Old Rectory near Lincoln and your Methodist contacts will want to know about this tour which can be timed to coincide with a year-long programme of events including drama, music, art, needlework and living history days. Pause for a moment to think of Methodist contacts who might be interested in this more unusual perspective on the 18th century life and times of their founding father. 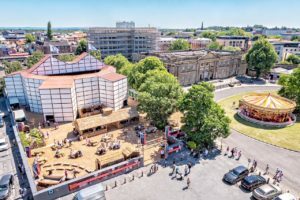 Shakespeare’s Rose Theatre, Europe’s first ever pop-up Shakespearean Theatre, will return next summer to the historic city of York. Inspired by the famous London Rose Playhouse built in 1587, the 13-sided scaffolding structure, complete with an Elizabethan village will seat audiences of 900 on 3-tiered balconies of covered seating with an open courtyard for standing ‘groundlings’. Vibrant productions of Hamlet, Henry V, The Tempest and Twelfth Night promise a thrilling and intimate theatrical experience! Moat Brae House in Dumfries, Scotland is the childhood playground of J M Barrie, creator of Peter Pan. Next spring, it will open next spring as Scotland’s National Centre for Children’s Literature and Storytelling and ‘the enchanted land’ of interactive exhibits, play areas and the Darlings’ Nursery will be brought to life by costumed guides. Outside, in the grounds where he and his friends played pirates, will be the Neverland Discovery Garden with a pirate ship, Wendy house, Mermaid’s Lagoon and an Indian camp. 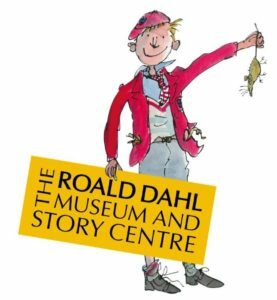 A great day in the English countryside combines the filmmaking world of Harry Potter and the Warner Brothers Studio Tour with the swashboggling tales at the Roald Dahl Museum and Story Centre, just 40 minutes away at Great Missenden. With your imagination centre-stage, you can peek into the author’s original Writing Hut and discover how his real-life adventures inspired his stories. Back in London, you can round off an exciting day with an evening performance of the musical, Mathilda. From March 31, 2019, Cornwall Airport Newquay will gain access to London Heathrow, replacing their current flights from Gatwick. Operating out of Terminal 2, Flybe will run up to four flights a day from the London hub using 78-seat Q400 turboprop aircraft and the Heathrow route will replace the airline’s existing link to Gatwick. 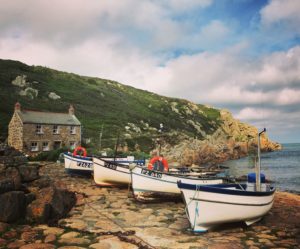 These short flights will make the worlds of Poldark, Doc Martin and the Arthurian legends at Tintagel Castle on Cornwall’s rugged north coast that much more accessible. 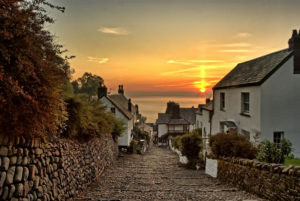 Next year, the picturesque North Devon fishing village of Clovelly, will be marking the 200th anniversary of the birth of the great social reformer and novelist Charles Kingsley. He wrote the historical novel Westward Ho! in Clovelly, which led to the creation of the nearby town of the same name. The celebrations will include plays, story-telling, book readings and processions linking the two places. In adjacent Exmoor, they will also be celebrating the 150th anniversary of R.D. Blackmore’s ‘Lorna Doone’. 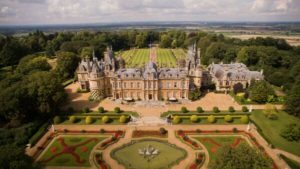 Waddesdon Manor, just north of London, was built for Baron Ferdinand de Rothschild in the 1870s to display his collections and entertain the fashionable world. From May 25th, they are opening a new display celebrating the Rothschilds as collectors of extraordinary objects made from rare and precious materials. Densely displayed and beautifully lit, it offers an intense opportunity to enjoy and understand objects made from silver, silver-gilt, rock crystal, amber, ivory and enamel including some spectacular jewellery and intricate clocks which have profound significance to the family. 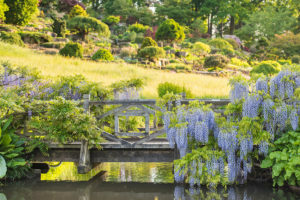 With the annual North Wales Festival of Gardens taking place between 1st-16th June, you can now offer your green-fingered clients a 3-country tour they’ve not seen before. 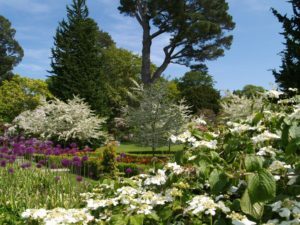 Spread over 8 nights, it starts with Bloom in Dublin, Ireland’s largest and most spectacular gardening event before pausing to see some of the great North Wales gardens participating in their Festival. It concludes with a visit to the RHS Flower Show at treasure-filled Chatsworth, a stunning venue set in a beautiful landscape. Spring is a wonderful time to visit the renowned RHS Garden Wisley, when more than 200 magnolias bring life and colour to the garden. Battleston Hill is best known for its flamboyant burst of colour that reaches a peak in April and May, with hundreds of rhododendrons to discover. Don’t miss the wide variety of wisterias as they come into bloom too. Travel planners often allow insufficient time to see this gardening masterpiece. Allow a min of 4 hours for a visit.